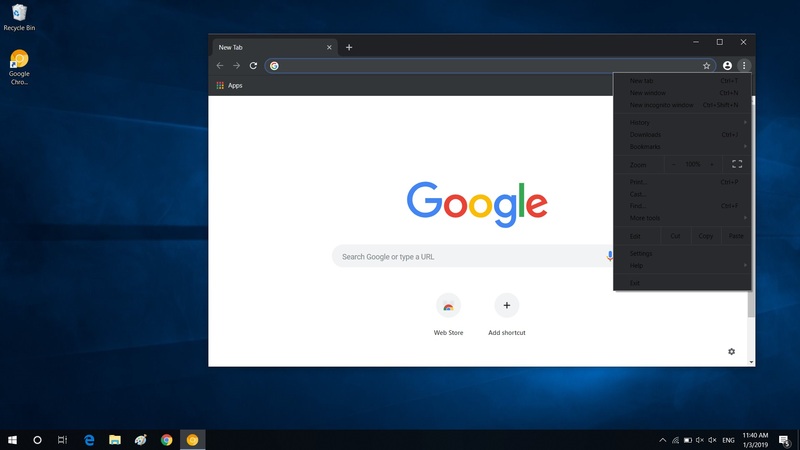 Last year, various reports confirmed that Chromium is coming to Windows 10 on ARM and the open-source browser will soon run natively on ARM. Google Chrome is also based on Chromium but it’s not known if or when Google plans to bring its web browser to Windows 10 on ARM. Today, we spotted various commits by Microsoft engineer and Chromium developers which appears to suggest that the open-source web browser will run natively on ARM sooner than expected as the work is slowly progressing. The first Chromium post is called ‘Add Windows support to build/symlink.py’. The post says that Windows 10 on ARM comes with the need to cross-compile the browser for it and Chromium will now use symlinks from the target output directory to the host output directory to make this happen. “This change adds no-escalation symlink-ish functionality for Windows to the script that implements symlinking in the Chromium build. The biggest caveat to this support is that files are hard-linked, so any time that a symlink target is deleted and replaced without recreating the symlink, hard links will be stale. This is acceptable because the Chromium build system always re-makes links when the original changes,” the post revealed. The second Chromium post aims to ‘.exe’ suffix to imagediff symlink target’. The post says that the Windows version has been revised to support cross-compilation and symlinking, but there is a need to provide the correct ‘.exe’ file name to the symlink script. “Now that Windows has cross-compilation and symlinking, targets with custom output naming need to provide the correct ‘.exe’ file name to the symlink script,” the post revealed. It’s also worth noting that both Chromium posts have Microsoft engineer and Chromium developers attribution. 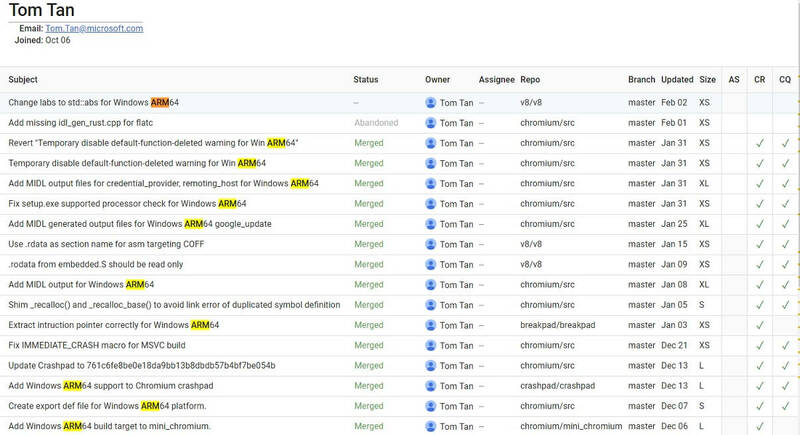 As you can see in the screenshot embedded below, Microsoft’s engineer has made various contributions to Chromium for ARM project. This suggests that Microsoft engineers are actively working with Chromium developers to bring a version of Chrome that can run on Windows on ARM. 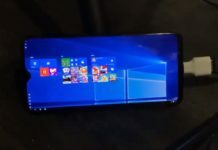 A native ARM version of Chrome for Windows 10 would make a lot of sense for Qualcomm and Microsoft. 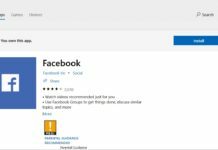 If Microsoft relaxes its Windows Store rules, the native Chrome support for Windows on ARM could be soon found in the Windows Store. Good for my Lumia 950xl with WoA!